The gospel reading we’ve just heard paints a wonderfully vivid picture. Some weary fishermen are washing their nets. They’ve worked all night long and seemingly caught nothing. They must have been feeling fed up as well as exhausted. In stark contrast to the paucity of fish, Jesus is hemmed in by an abundance of people – a great crowd who have come ‘to hear the word of God’. Jesus has an idea; he gets into one of the boats, from which he can more easily teach the crowds. He finishes what he’s been saying and turns to Simon, saying, ‘Put out into the deep water and let down your nets for a catch’. Here with you, friends in Christ, my task is, as it were, to encourage us together to ‘put out into deep water’ in hope of a catch. I’m talking, of course, of the important focus of today, which your PCC has designated as our annual Stewardship and Legacy Sunday. Stay with me, please! Stay in the boat! Be prepared, as Simon was, to ‘put out into deep water’ and watch a net being lowered. Be prepared, as Simon was, to ‘put out into deep water’. As your parish priest I’m very much in role today – part of my calling, and my duty, is to preach regularly about stewardship. At the same time I need to be appropriately personal. I seek to tread my way carefully with some trepidation, because I know that today’s theme touches sensitive places in all of us. At the same time I have a sense of confidence. This is because I enjoy being responsible for this parish, and our two church communities. I truly believe in what we’re doing, and seeking to be, together; and in all that we’re hoping for in the future. I’m absolutely convinced that what each of us gives, in the form of our time, our skills and our money, is an expression of our faith commitment. I want to tell you about someone called Celia. Julia and I knew her well. Celia was a wonderful Christian lady. She died at the end of last year, aged 91. At the thanksgiving service for her life on Tuesday, one of her four children said in his address, ‘My mother would never talk about this, but every day she set out to do a good deed for someone, whoever they were, as the opportunity arose’. This is an example of what you might call ‘the gift of time and skills’. 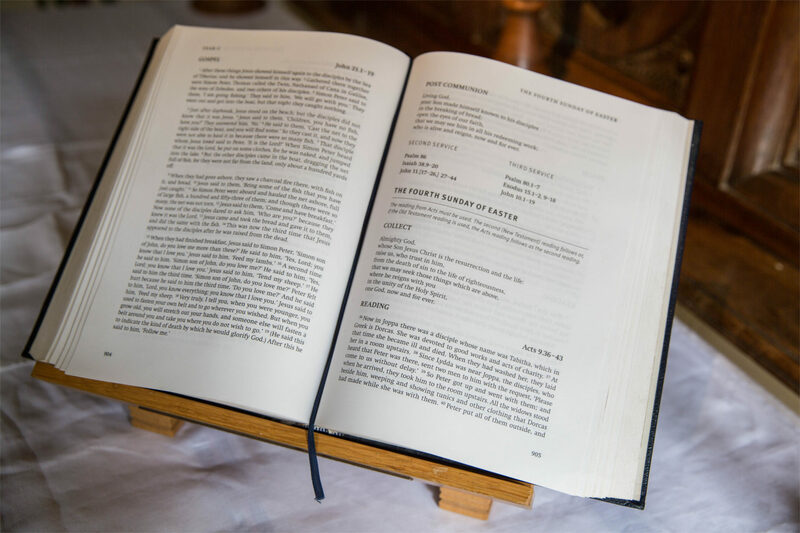 There are many and varied examples of the ways in which we, as members of our church communities, use our time and skills for other people – both here, and in the context of our wider lives. Today gives us the opportunity to look one another in the eye and say, ‘Thank you for being my sister, or brother, in Christ; thank you for your part in all we can do and be together’. This expression of thanksgiving is at the centre of today. It cannot be overstated. Talking about time, skills – and money, in particular – provokes an emotional response. It makes us feel something; and that’s a good thing. This set me off on a train of thought. I wonder how you feel about your part in the life of our church communities. What I mean is: do you see yourself as someone who comes along because it feels like a nice thing to do and be part of, but consciously decide not to become actively involved? Or, perhaps, you find yourself to be deeply involved, as it were, from the inside? It’s a fact that in any voluntary organisation 20% of the members contribute 80% of the time, skills and money. Increasing that 20% is a crucial part of what your PCC wants to do in the year ahead. Just two practical examples are the need for more folk to commit themselves to our welcome teams and coffee rota. A question you might ask yourself is: how am I currently involved, and what more could I do? I’m not talking about what’s sometimes known as a ‘hardening of the oughteries’, but rather a joyful willingness to give of time and skill, because we want to. Such a response isn’t characterised by dragging feet but, rather, a joyful lightness, expressed by a spring in the step. A question you might ask yourself is: how am I currently involved, and what more could I do? I’m not talking about what’s sometimes known as a ‘hardening of the oughteries’, but rather a joyful willingness. Something we can all do is re-commit ourselves to prayer. There are many different ways to pray and we each need to work out what is most effective for us, within the context of our respective lives. But praying for our church communities is something we should all feel we want to do. Prayerfully reading through the weekly welcome sheet is one way of engaging with this. Another is to join the midweek e-mail for specific prayer needs that Kathleen Freeman kindly compiles and circulates. Details are in the individual letters ready for collection after our worship. Just as important as our time and skills is the gift of our money. As a parish we’re engaged with two distinct but closely related financial needs. It’s as though we’re a two-cylinder financial engine, with two pistons firing in a complementary way. The first piston is what today is all about – let’s call it our ‘housekeeping’. That is, running this parish. This year’s budget is £226,000 – that’s £4,300 each week. Two-thirds of this comes from regular giving, with the added gift aid. That’s the money 162 of you give each month. The balance comes from collections, donations and hiring out the facilities and car park at St Paul’s. By way of a reminder: the Church of England has long suggested that Christians give 5% of their income, after tax and national insurance have been deducted, to the Church, and 5% as other charitable giving. I know from what you have said to me, that there are a few people in our congregations committed to this biblical guideline. What I want to do again today is to commend it to you all. I commend it to you as a target figure. I feel that I can do this with personal integrity … I confess that it took me very many years; but I reached this target, in my church giving, two years ago. The second piston of our financial engine is Building for Life. I’m acutely aware that we’re in the middle of a major fund-raising programme to enable us to realise our vision. I know that many of you have responded to this very generously. Some of you have made an additional monthly commitment to the separate Building for Life fund. Thank you very much. Many of you will remember Freda and Ken Wilkins who, several years ago, in their wills, left this parish a quarter of their estate, amounting to £250,000. Their forethought and great generosity have changed this parish forever. They made possible the two building projects at St Matthew’s. They have made possible the development of our plans at St Paul’s. I commend to you our new legacy leaflet. In conclusion, and remembering our gospel reading: we’re in the boat with Jesus; together with Simon, we’re obedient to our Lord as we cast our nets. Our experience from past years is that God blesses our faithfulness with an outpouring of generosity.